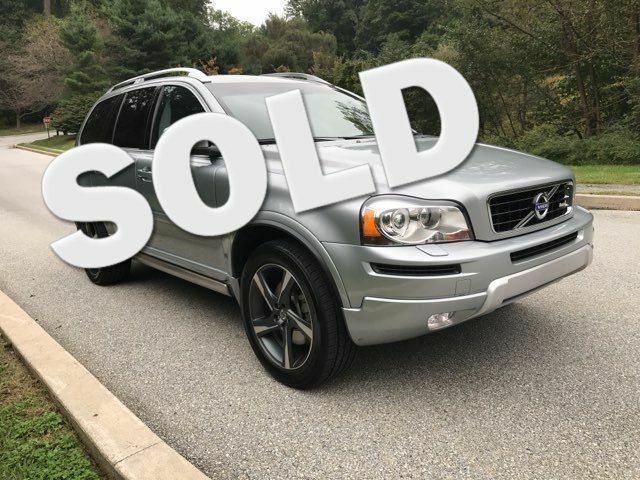 2013 Volvo XC90 AWD 3.2L R Design | Malvern, PA | Wolfe Automotive Inc.
Premier Plus R-Design, New Front & Rear Brakes, New Wiper Blades, Fresh 80K Service with Full Synthetic Oil Change, Clean CarFax, AWD XC90 powered by the 240hp 3.2L DOHC in-line 6-Cylinder Engine. Serviced by the Wolfe Automotive Team using all necessary items to complete our Certified Reconditioning Process. Generously equipped with 3rd Row Seating, Active Headlamps, Rear Air Conditioning, Park Assist, Fog Lamps, BlueTooth, Climate Package, Auxilary Input, Rear Center Child Booster Seat, Moonroof, RainSensor Windshield Wipers and Winter Mode / Geartronic Automatic Transmission. Among the many celebrated Volvo Safety Features found in the rugged XC90 are the Boron steel reinforced passenger compartment, Roll-over protection system (ROPS) and Side impact protection system (SIPS) -inc: driver/front passenger side-impact airbags, front/rear side inflatable curtains (IC). We here at WOLFE AUTOMOTIVE, your dealership alternative, invite you to come look at our selection of other top quality Volvo cars. Our entire staff is FACTORY TRAINED and is here to assist you with all of your Volvo needs, from sales to service. Our Volvo cars are PA inspected, fully detailed and warrantied. We have Financing sources, PROGUARD Extended Service Contracts available on most vehicles and WOLFE CERTIFIED WARRANTY options on all cars.